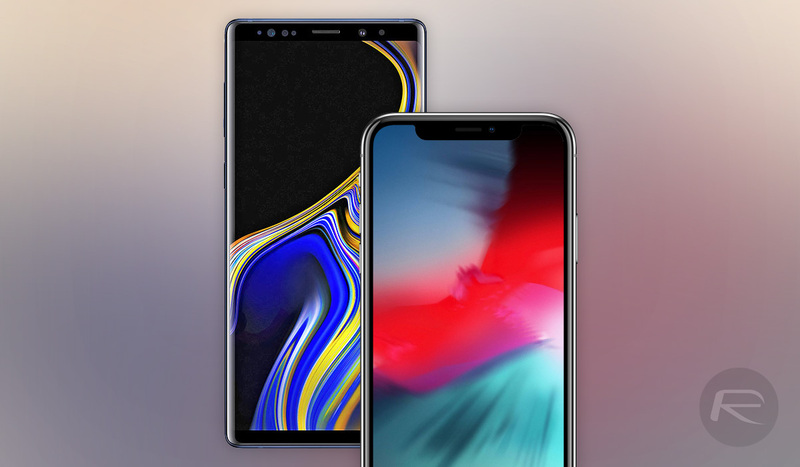 Whenever Apple releases a new flagship iPhone, it’s only a matter of time until someone somewhere decides that it needs to be put up against the best of the competition in order to see just how the two compare. These tests normally come in the form of a “real-world” test, with both devices being forced to launch a number of apps into memory before doing the same again, this time launching those apps from memory to see which have been forced to reload completely. It’s a tried and tested method, and while it has its detractors for many reasons, it generates huge YouTube viewing numbers. That’s probably why YouTuber SuperSaf TV did exactly what you would expect by pitting an iPhone XS Max against Samsung’s Galaxy Note 9. The format follows the one we just described with the iPhone’s A12 Bionic up against the Galaxy Note’s Exynos SoC. The former has 4GB of memory and the latter 6GB, so if you’re a memory fan, you’d think the only winner here would be the Galaxy Note 9. However, as these things tend to show, that’s not always the case. The end result is somewhat predictable with the iPhone XS Max winning the contest comfortably, but as we alluded to earlier, there are plenty of reasons to be dubious about such tests. Claiming to be “real world,” it’s clear that these tests are anything but because, honestly, who uses their smartphone in this manner? Nobody launches an app, closes it, and then launches another repeatedly. It may seem like we’re nitpicking here, but when there are memory management concerns to take into account and the very different ways iOS and Android go about it, it’s debatable as to whether these tests have any bearing on how a device will feel during a day’s usage at all. That being said, the videos are indeed hugely popular, so be sure to check it out and form your own conclusions. Just make sure you’ve a decent pinch of salt to hand, first.